We are seeking a highly trained and experienced Consultant in Paediatric Anaesthesiology to join one of the largest health organisations in the Kingdom of Saudi Arabia. You will work alongside professionals from more than 50 countries worldwide, each providing a dynamic healthcare environment and exchanging ideas on practice, procedures and competency. You will use modern technology to enhance care alongside evidence-based practice and the effective use of clinical and educational resources. Collaborative partnerships, self-development and clinical advancement programs are encouraged. You will receive a tax-free salary plus generous benefits package which includes, but is not limited to: family housing, education allowance, transportation, health and dental insurance, and annual flight tickets for you and up to four eligible dependants. Our client is a highly regarded, governmental healthcare institute, serving the population of SANG employees and their dependents. Currently comprising two major medical cities in Riyadh and Jeddah plus three hospitals in Al Ahsa, Dammam and Madinah, as well as the recently part-opened 320 bed specialty hospital, the King Abdullah Specialized Children’s Hospital, Riyadh. Our client also has 74 healthcare facilities kingdom-wide. 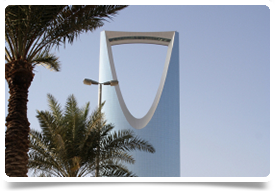 Saudi Arabia is a country with many areas of beautiful oasis and dramatic mountain-tops, beaches and valleys. Its cities, although having limited nightlife, do have plenty of cafes and restaurants. There are also shops galore, from the souk to the huge department store. Indeed, Saudi Arabia’s major cities are generally very modern with amenities of a high standard.